The people of God throughout history have been a people of exile and diaspora. Whether under the Assyrians, Babylonians, Greeks or Romans, the people chosen by God have had to learn how to be a holy people in alien lands and under foreign rule. For much of its history, however, the Christian church lived with the sense of being at home in the world, with considerable influence and power. That age of Christendom is now over, and as Lee Beach demonstrates, this is something for which the church should be grateful. The "peace" of Christendom was a false one, and there is no comfortable normalcy to which we can or should return. 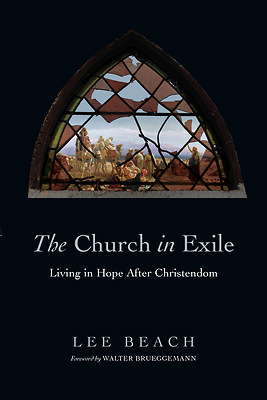 Drawing on a close engagement with Old Testament and New Testament texts, The Church in Exile offers a biblical and practical theology for the church in a post-Christian age. Beach helps the people of God today to develop a hopeful and prophetic imagination, a theology responsive to its context, and an exilic identity marked by faithfulness to God's mission in the world.